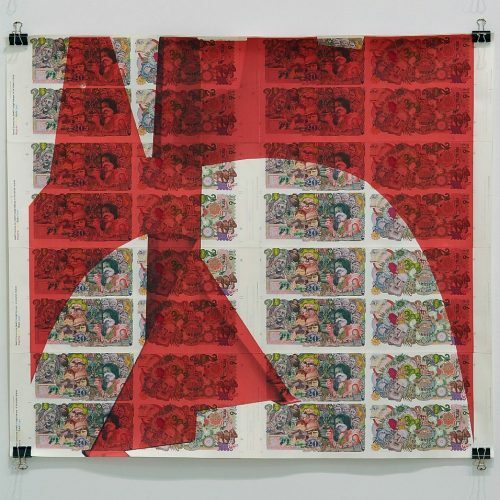 Neutral Capital 100 Counterfeit, 2005, collaged currencies reprinted in ink on paper, 6 1/2 x 3 1/2” ea. 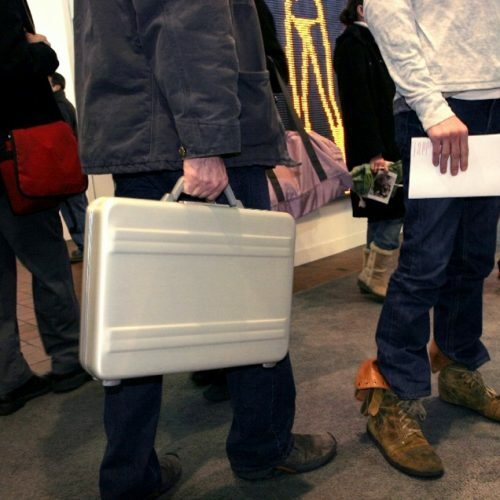 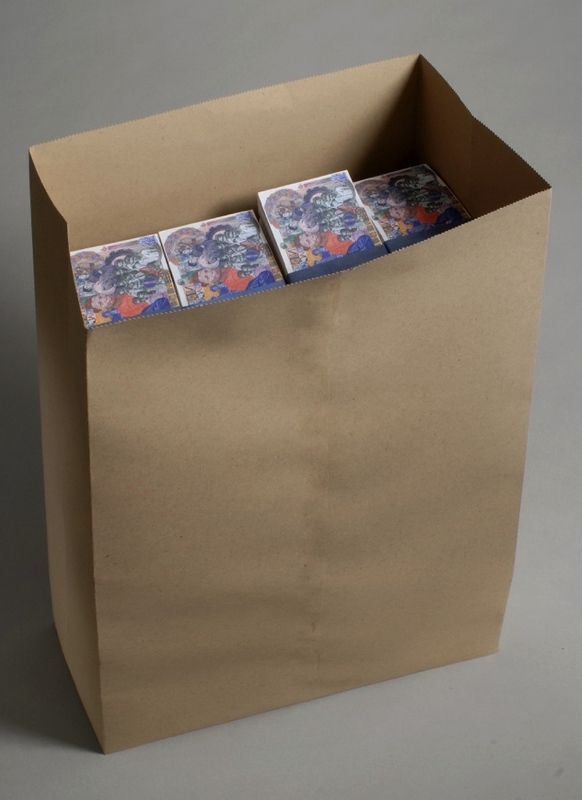 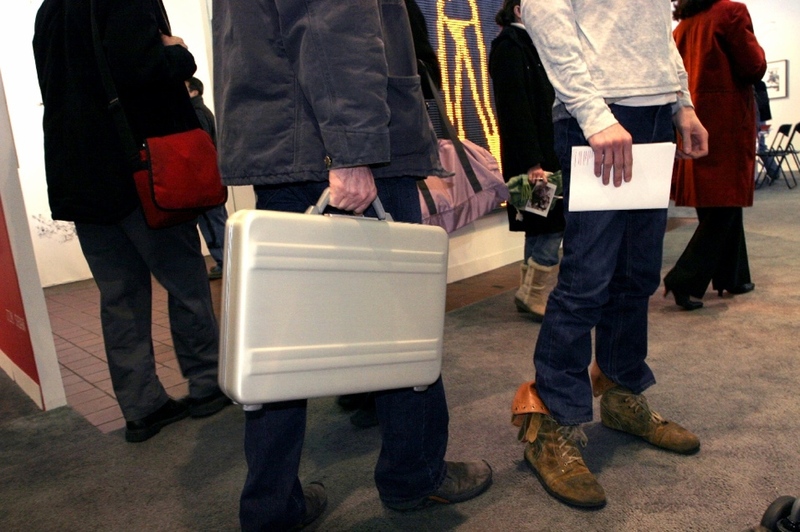 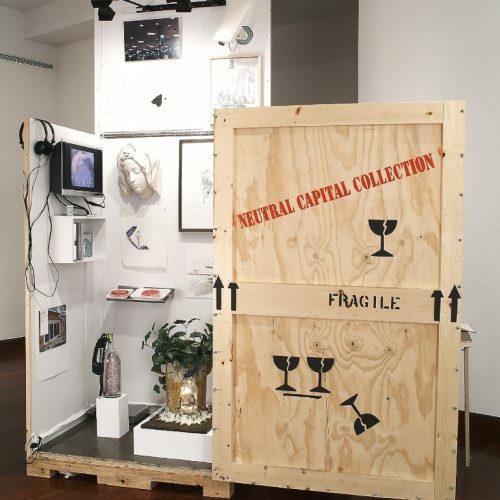 Neutral Capital debuted with the Swiss Institute of Contemporary Art as an alternative economy in the Armory Show art fair. 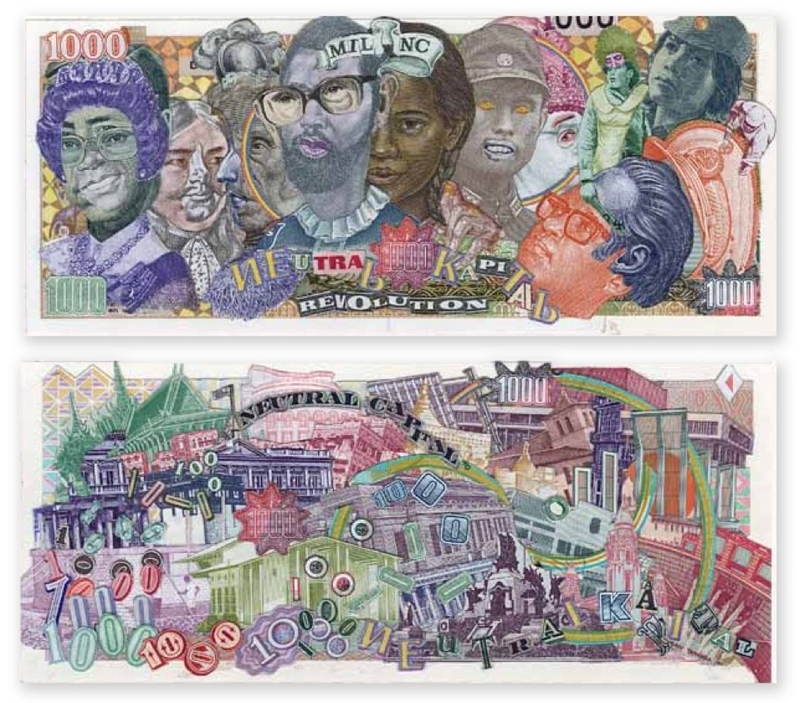 Sampling bills from countries with unstable economies, I created new denominations of hand-collaged bills that were later printed and used as currency for collectors, art dealers and myself to purchase art works. 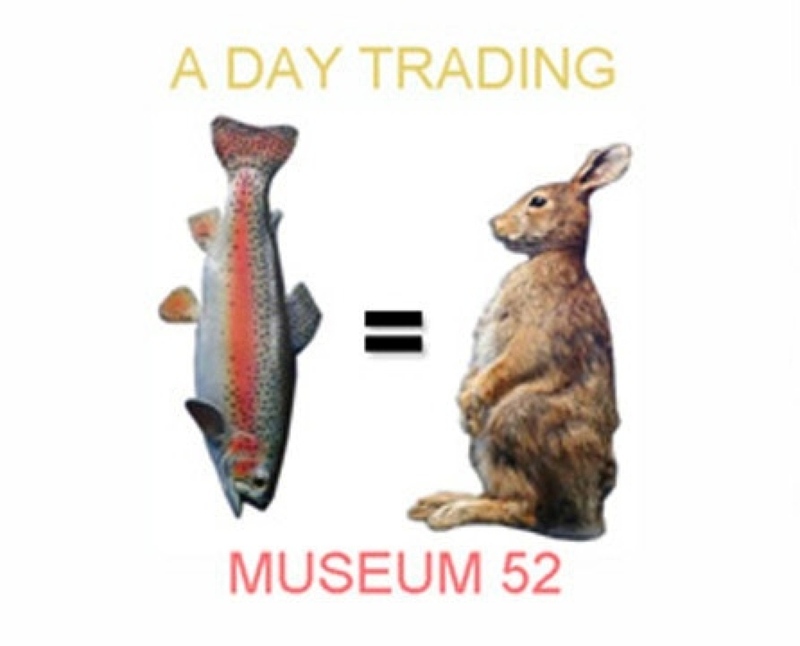 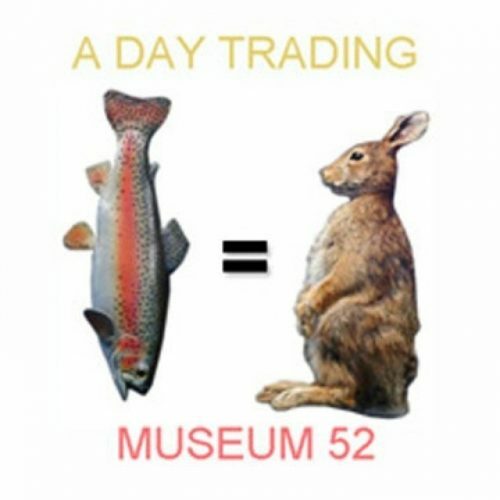 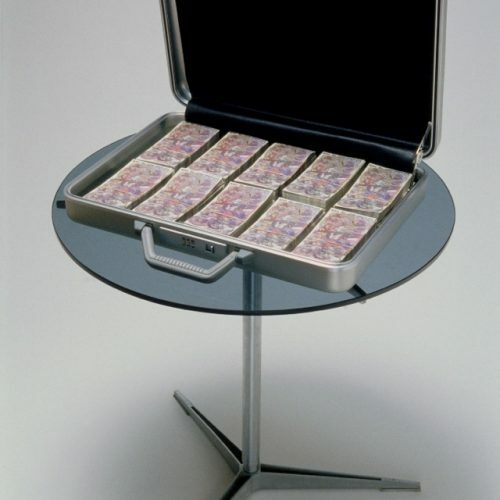 Based on trust and speculation following the Armory, art collections with an international roster of artists were purchased with Neutral Capital. 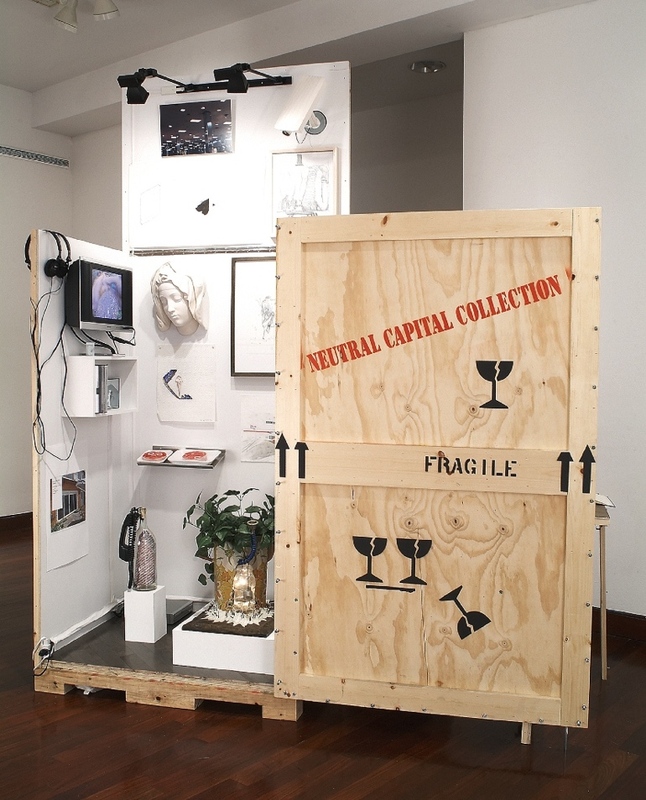 These pieces are housed in movable galleries-in-a-box, Neutral Capital Collection I and II. This work later developed into Collector Crates, silk-screened with the images of prized collections from noted artists and scholars. 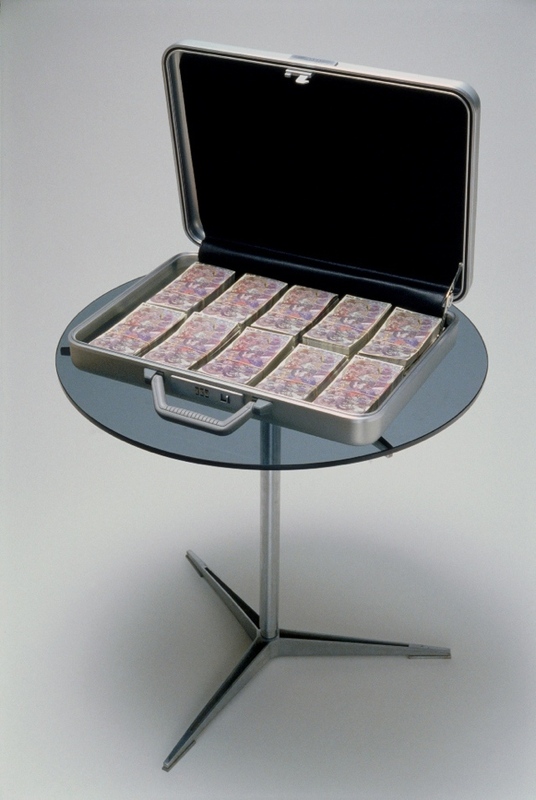 Through investment and collection the works offer parallels between the world of global finance and the art market. 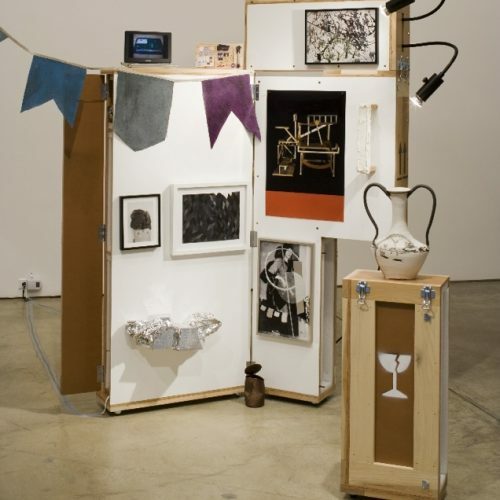 This varied, process-oriented practice demonstrates interest in the art object as trigger and emblem for forms of exchange. 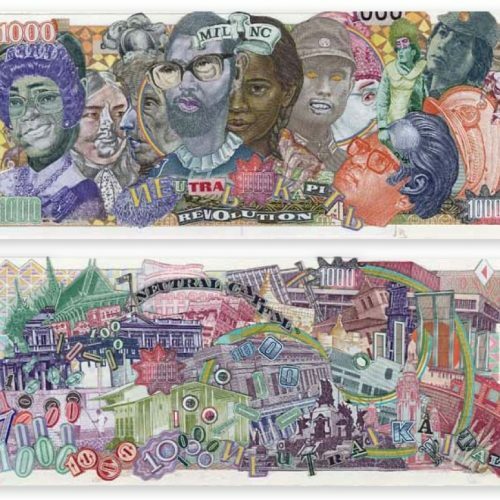 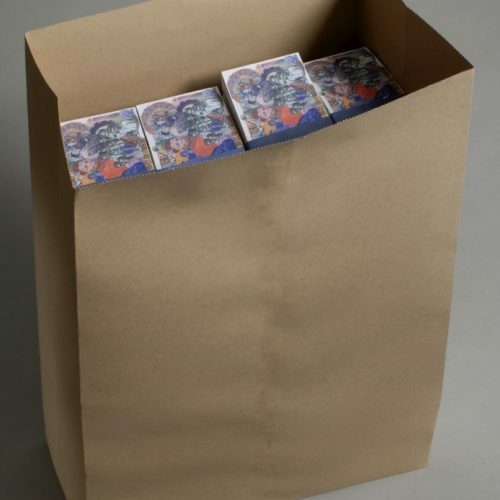 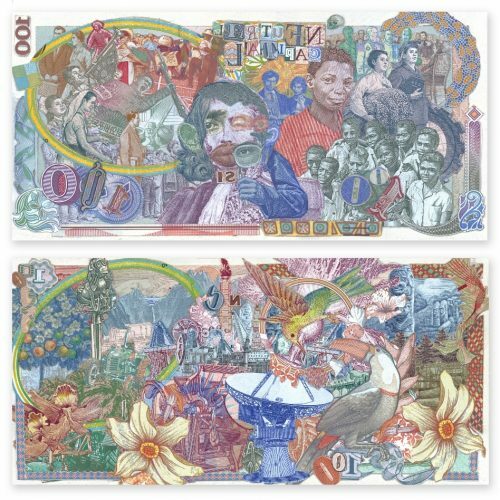 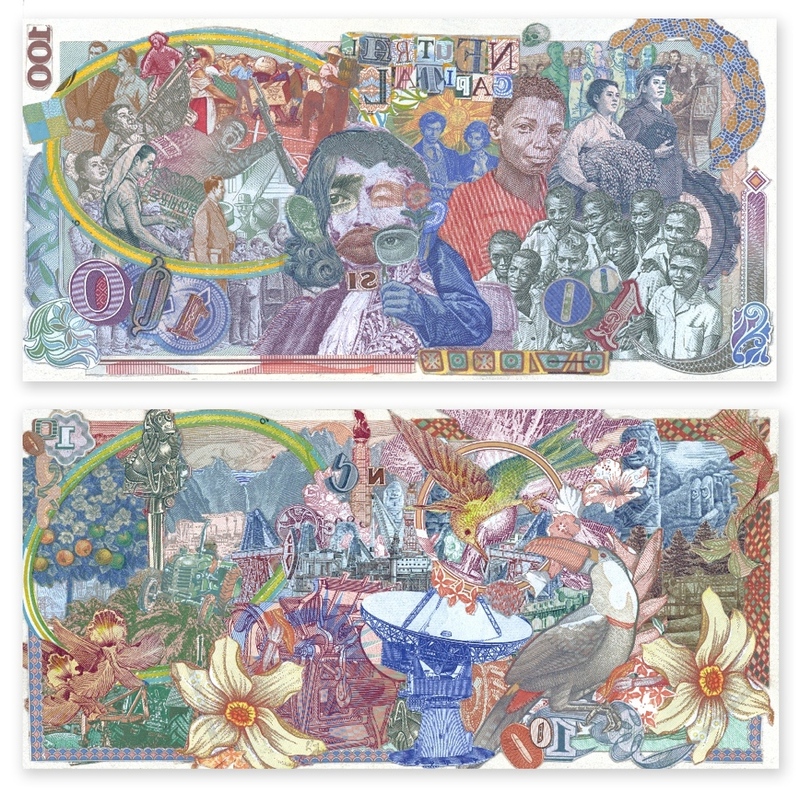 These exchanges are articulated by the production and circulation of hand-collaged printed bills representative of the exchange of formal qualities in a work of art for literal economic value. 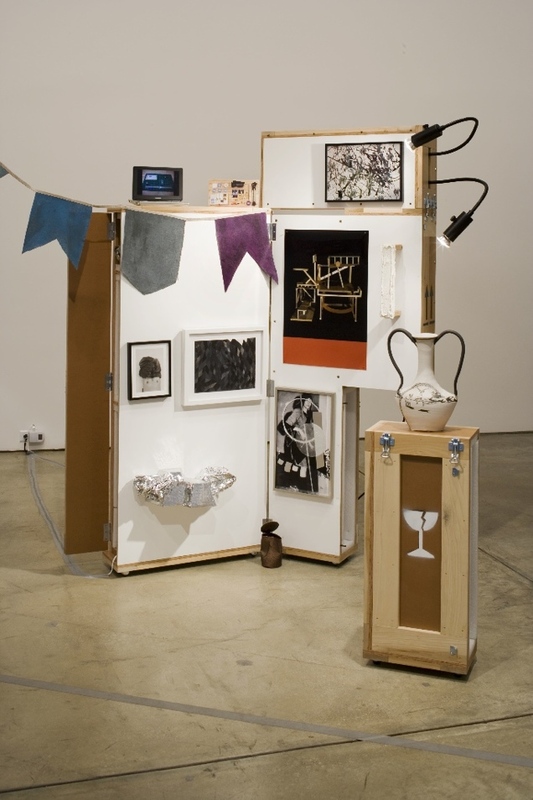 Others focus on display objects that result from participation and trade within a specific social network.